“All of our work aligns with ESUSD’s goals of increasing student achievement, ensuring safety, building capacity of personnel, engaging parents and community, and maintaining resources to benefit our students,” said Dylan Farris, ESUSD Executive Director of Human Resources. “Through her support for evidence-based practice and focus on the development of outstanding school leaders, Moore has facilitated the implementation of multiple successful student-centered initiatives.” Under her guidance, ESUSD has implemented Project Lead the Way/STEM curriculum for K-12; facilitated a partnership with the Cotsen Foundation and Loyola Marymount University for a peer coaching model to support CGI; implemented the 1:1 technology initiative for grade 4-12; and achieved the highest graduation rate in the region at 98.9 percent. Moore is known for challenging ESUSD leaders and educators to examine District practices and ask the tough questions about access and equity for all students. She has established a partnership with the University of Southern California’s Rossier School of Education to bring a series of K-12 training for educators on the topic of “differentiating for depth and complexity” to meet students’ needs by focusing on strengths and interest to maximize achievement and access. “The ESUSD Board of Education has taken great pride in Dr. Moore’s work, and we are particularly proud of her recent accomplishment with regard to moving the District’s digital learning initiatives forward,” said Emilee Layne ESUSD Board of Education president. 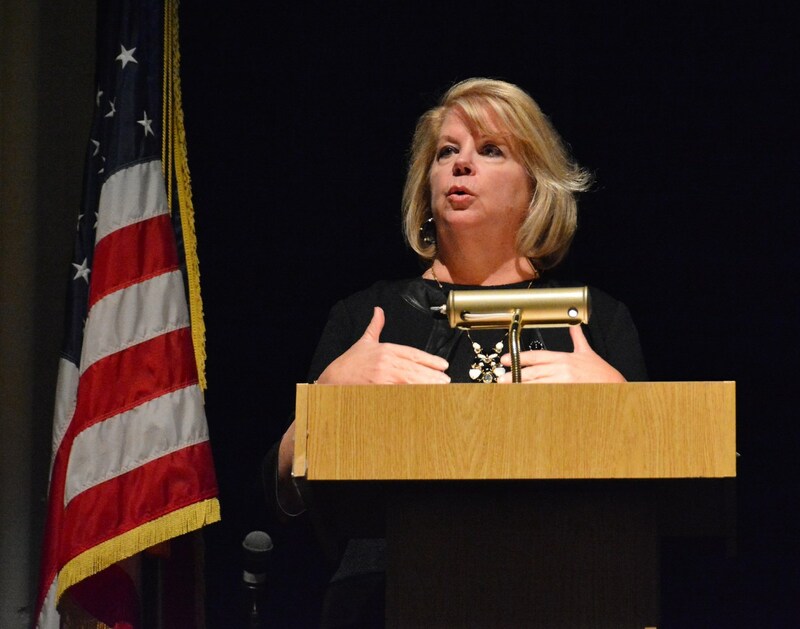 District administration and members of the BOE believe Moore understands the significance technology is playing in the modern world. She has made digital learning the main focus of the District’s mission and empowered school leaders to incorporate the International Society for Technology in Education (ISTE) standards as a framework for instruction. ACSA is the largest umbrella organization for school leaders in the United States, serving more than 17,000 California educators. As the leading professional association for education leaders, ACSA honors exceptional leadership through its annual awards programs. The El Segundo Unified School District (ESUSD) was established in 1912 to serve all of the residents living in the City of El Segundo and covers the western part of the city. ESUSD consists of six schools including the Eagle’s Nest Preschool, Richmond Street and Center Street Elementary Schools, El Segundo Middle School, El Segundo High School and the Arena/Virtual High School, as well as partnerships with the South Bay Adult School and California Regional Occupational Center (SoCal ROC).